Submitted by Alexander Briones on Oct. 9, 2018..
Used by big name artists such as Sheryl Crow, Sammy Hagar of Chickenfoot and System of a Down's Seri Tankjan just to name a few, the Shure SM7B continues to be one of the most in-demand and sought after vocal mics on the market today - both for recording and live performances. Even the King of Pop Michael Jackson, who could have whatever microphone he wanted, recorded vocal parts of Thriller using the original SM7. These days, the mic has been updated to SM7B, to meet the demands of today's stages and studios, but it still carries the core features that made the original popular, quality sound that works great for intense vocal work, high SPL handling that can handle loud instruments like drums, and reliability. 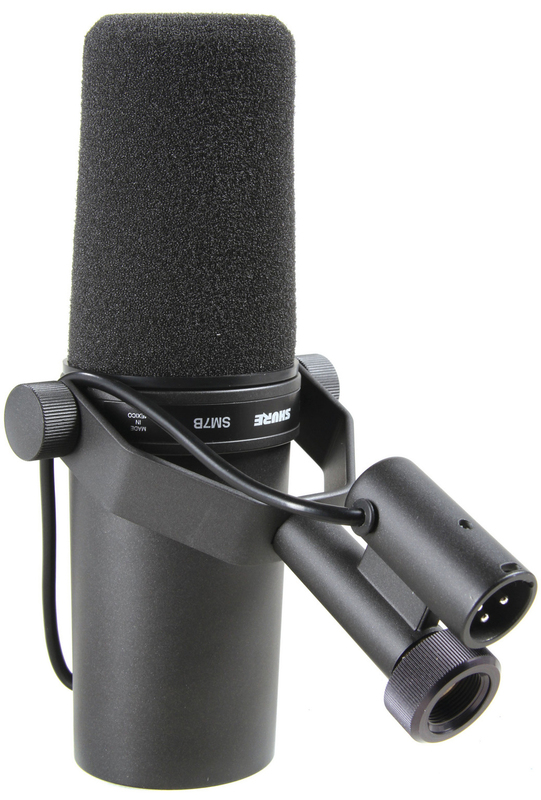 Many users consider the Shure M7B to be the best vocal mic for male vocalists. Even experts comment that this mic can trump more expensive tube condenser mics, reporting that many singers just sound better with the SM7B. It's directionality and ability to reject noise was also well liked by many users, along with its tank tough build that's been proven to work like new after many years of use. And it's not just a vocal mic because, many report getting great results when used for podcasting, voice over recordings, and some even used the mike for loud amplifiers and drums. There are a few that commented on the mic's low level output compared to condenser mics, which is to be expected since this is a passive dynamic mic. Another concern that was raised about the SM7B is its directionality, while it does help in rejecting noise, it also limits the positioning and movements of the vocalist. If you're not into the nuances of condenser mics and you prefer a warm sounding mic for rock, metal and the like, the versatile and reliable SM7B is highly commended. This was on our recommended list until October 2018 when we performed a major review of vocal studio mics and we switched to recommending the Heil Sound PR 40 as an alternative to the SM7B.